WASHINGTON—U.S. 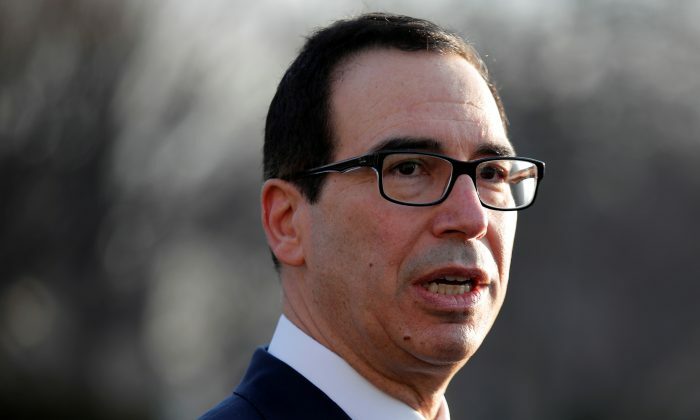 Treasury Secretary Steven Mnuchin said on Feb. 6 that he and other U.S. officials will travel to Beijing next week for trade talks, aiming to clinch a deal to avert a March 2 increase in U.S. tariffs on Chinese goods. “Ambassador Lighthizer and myself and a large team are on our way to Beijing next week. We are committed to continue these talks,” Mnuchin said. “I don’t think it would be productive to speculate on the outcome because we have a lot of work left to do … If we can’t get to the deadline, that’s not because we haven’t worked around the clock,” Mnuchin said.